In Northeast Ohio, air conditioning is more of a necessity than a luxury. With summer temperatures easily reaching past 90 degrees and high levels of humidity, living without air conditioning can be miserable. 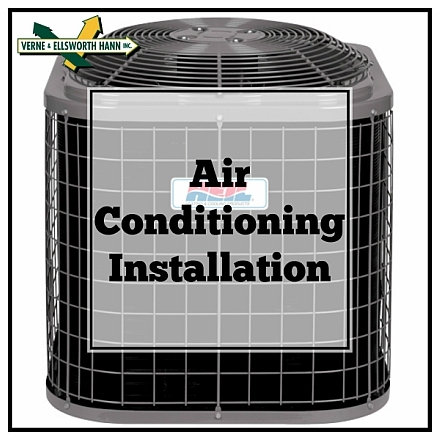 Selecting and installing a new air conditioner for your home is an important decision. Count on Verne & Ellsworth Hann when it comes time to add or replace air conditioning in your home! With a wide range of high quality, energy efficient air conditioners on the market today, selecting the right unit for your home can be frustrating and time consuming. Picking the wrong air conditioner can mean years of high utility bills and frequent maintenance. Verne & Ellsworth Hann, a 5-generation family owned company, can determine what type of air conditioner best fits your family’s needs and budget. Verne & Ellsworth Hann will guide you through the selection and installation process. Our customers can attest that not only will Verne & Ellsworth Hann complete your installation job quickly, but our expert technicians will always be professional and courteous, and will treat your home as if it were their own. Verne & Ellsworth Hann, located in Cleveland Heights, has successfully installed thousands of air conditioners in Cleveland Heights, Shaker Heights, Beachwood, Lyndhurst, most of Northeast Ohio and even parts of Lake and Geauga county. When you’re ready to replace or add air conditioning, even if you have a boiler in your home, give Verne & Ellsworth Hann a call at 216-932-9755 for a free, no-obligation, in-home estimate. Let co-owners Bill and Chris Hann guide you through the process with ease.